/ Does Sermon Prep Count As Devotional Time? Do you have devotional time that is just between “You and God” and doesn’t affect your sermon prep? You pray over a text. Why would you deny that power in your sermon? 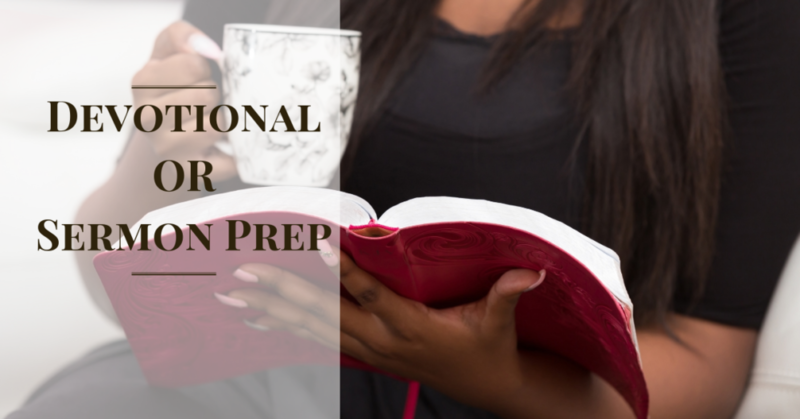 Does sermon preparation count as devotional time? Because sermon preparation time includes study of the text with careful attention to context..
And strengthens our relationship to God.